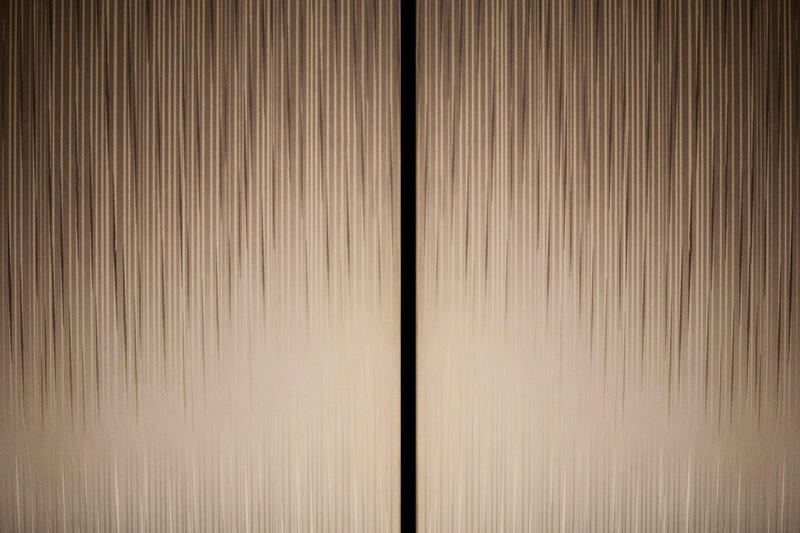 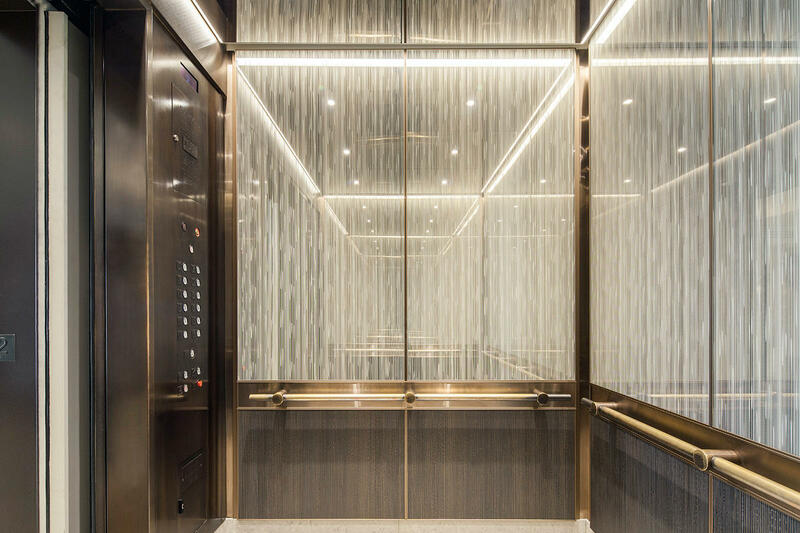 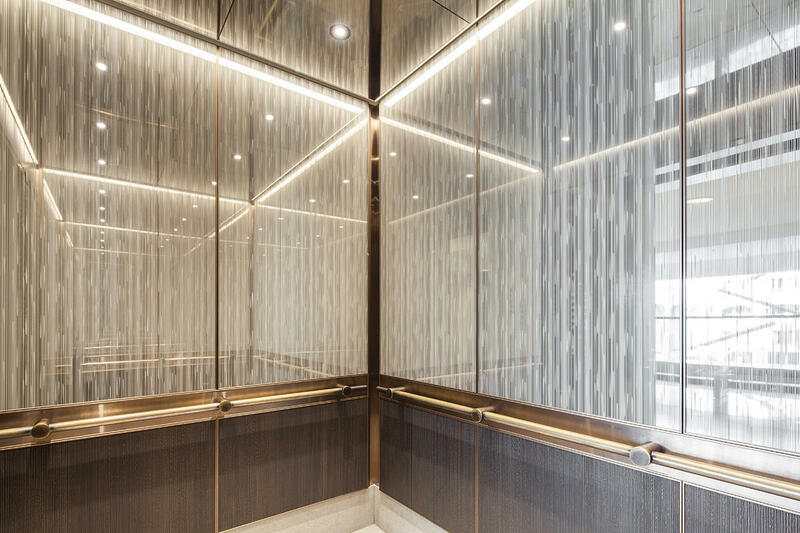 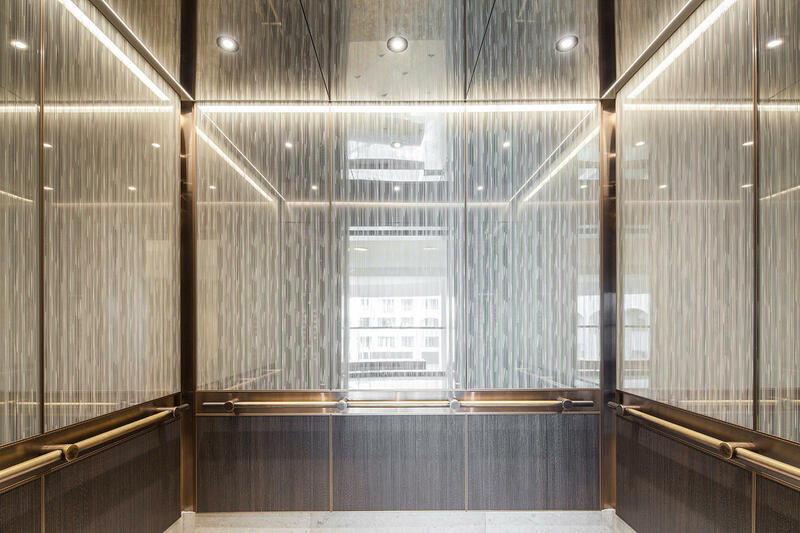 Elevator doors in Fused Nickel Bronze with Satin finish and Seagrass Eco-Etch pattern; LEVELe-105 Elevator Interior; elevator transoms in ViviGraphix Graphica glass with customized Silkworm interlayer and Standard finish at Grand Hyatt Washington, Washington, D.C. 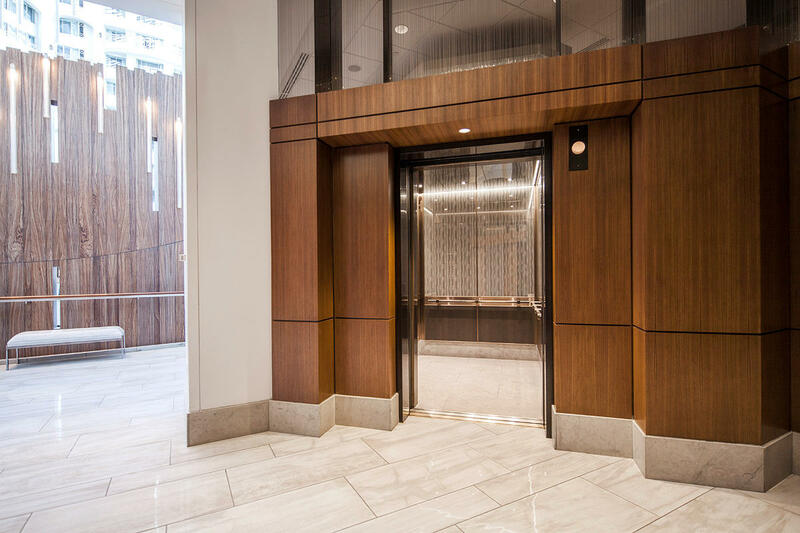 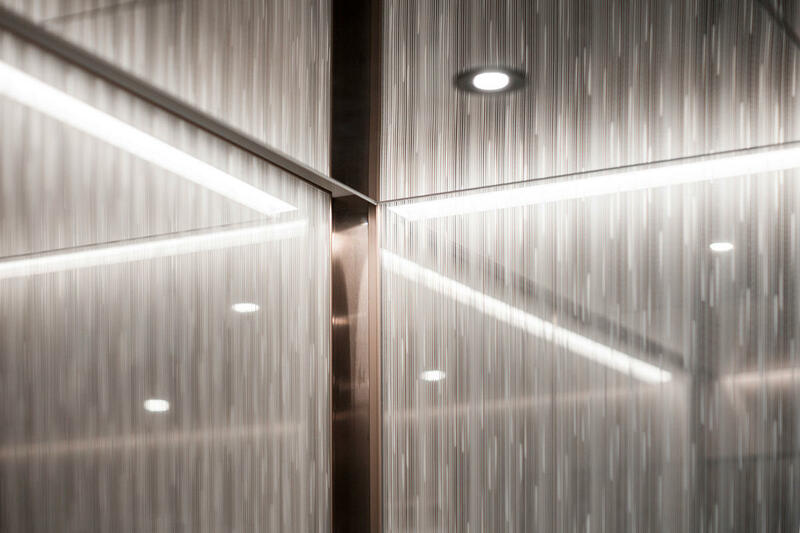 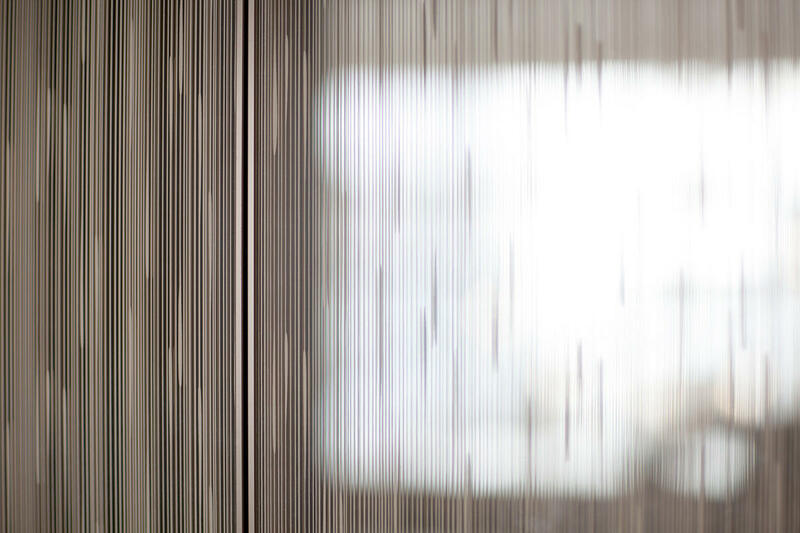 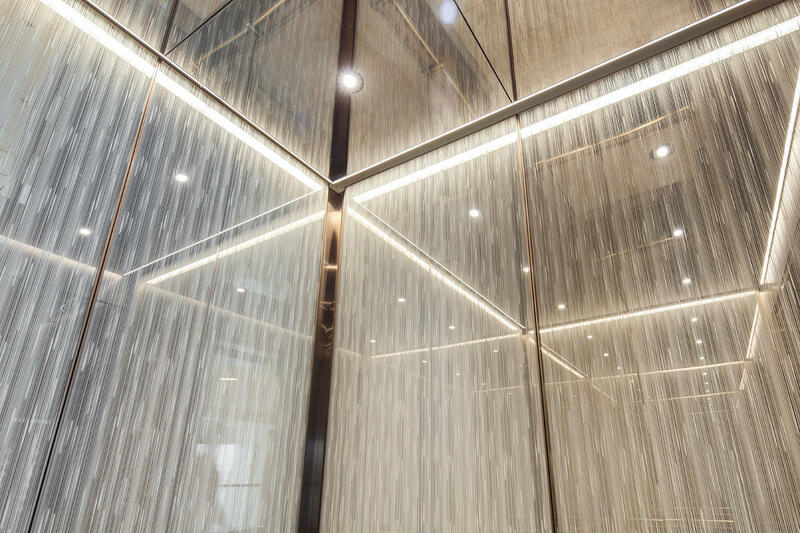 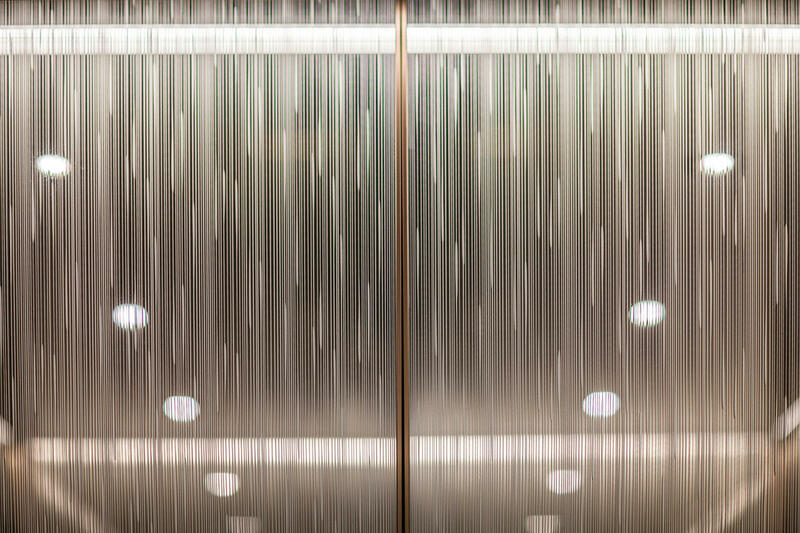 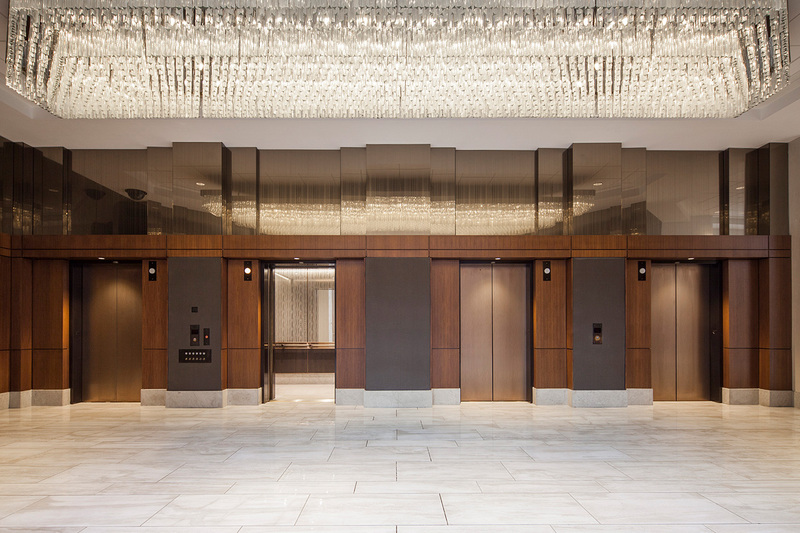 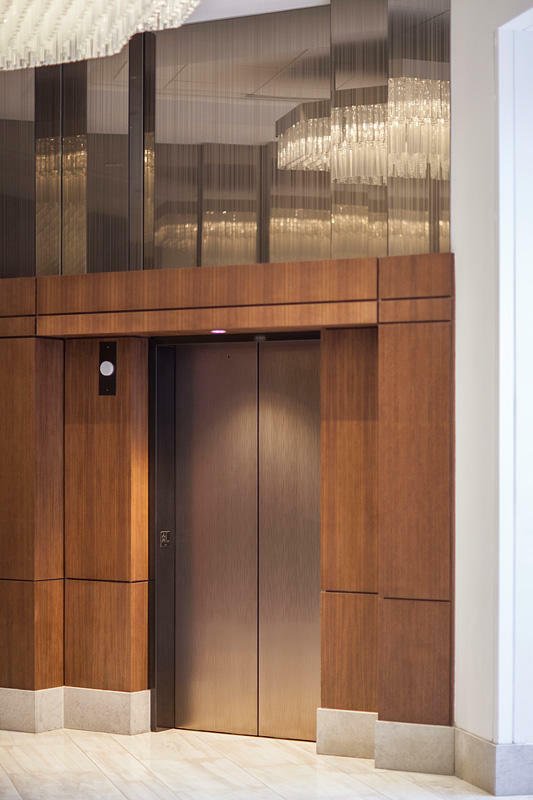 Working with tvsdesign, F+S provided elevator doors, elevator interiors and transoms, and a dynamic mix of surfaces to reinvigorate the Grand Hyatt Washington’s modernized lobby. The rich bronze tones, contemporary patterns and shimmering glass complement the hotel’s interior and create a glamorous, welcoming space for staff and guests to enjoy.